Steelite International has opened its new 15,000 square foot Corporate Showroom and Experience Center in Youngstown, Ohio. Youngstown, Ohio, December 04, 2018 -- Steelite International has opened its new 15,000 square foot Corporate Showroom and Experience Center in Youngstown, Ohio. Housed on the top floor of the historic Commerce Building, the latest company space is designed to be an interactive showroom, complete with a full commercial kitchen and separate bar area where hospitality professionals can experiment with Steelite products before making their buying decisions. The historic Commerce Building was formerly a four-story headquarter and warehouse location for the Oster Furniture Company in 1916. Over the years, the building became home to successor company Haber Furniture, The Youngstown Club – which added the fifth floor in 1988 – and was last used as a restaurant until it closed in 2016. Steelite International agreed to move into the building in early 2018 and construction on the newest showroom for the hospitality leader began. Steelite also has Showrooms and Experience Centers in London, New York, Atlanta, Chicago, Cincinnati, Las Vegas, LA and Washington, DC. In addition to being the largest Steelite showroom, the Youngstown location is the first with a working commercial kitchen and an additional concept bar area for mixology. In what is possibly one of the largest tabletop showrooms in the world, Steelite International’s new Youngstown, Ohio location offers hotels and restaurants who are specifying new tabletop products a unique opportunity to see the products they are considering in an actual working space that is entirely functional. Steelite International’s expansion in the United States this year also has included ground-breaking on their new 4 million cubic foot additional warehouse space in New Castle, PA next door to the existing warehouse and USA headquarters location. 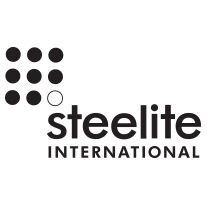 Founded in 1983 in Stoke-On-Trent, England, Steelite International is a world-leading manufacturer of the award-winning inspirational tabletop for the international hospitality industry. Today, Steelite International serves customers in more than 140 countries around the globe offering a complete tabletop solution for all hospitality dining environments.